Improve the Handling & Traction of Your Vehicle! Give your ride better balance in and out of the corners by reducing body roll and the understeer conditions associated with it. 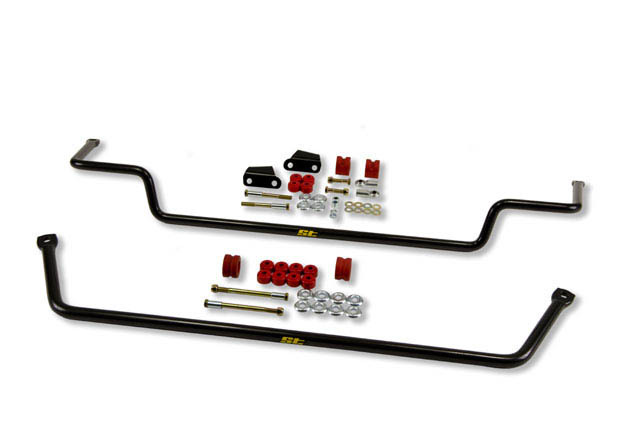 The increased diameter of these sway bars provides less loading/unloading of the chassis and suspension than the smaller/weaker factory bars and still maintain an excellent ride quality. Powdercoated for durability and includes urethane bushings and hardware as needed. Does ST Suspensions 52002 fit your vehicle?